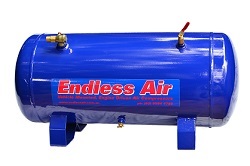 ﻿ Endless Air Compressor - Prices for Endless Air Compressors, Mounting Kits, Receivers and Accessories. 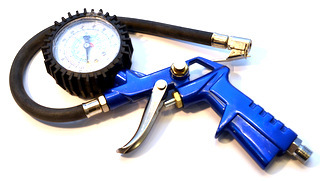 Pricing Tables for Endless Air compressors, mounting kits, receivers and accessories. 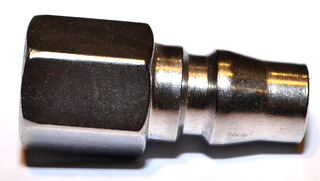 Heat sink can be fitted to EA100, EA90, EA80, EA75 & EA70. This heat sink is very useful for applications where the compressor is run for extended periods and will dissipate excess heat. These applications include agricultural and commercial uses. It is not necessary for normal 4WD use eg. pumping up tyres ect. The heat sink will need to be ordered at the time of purchase of the compressor as the compressor needs machining to allow it to be fitted. The compressors are longer at the rear because of this. 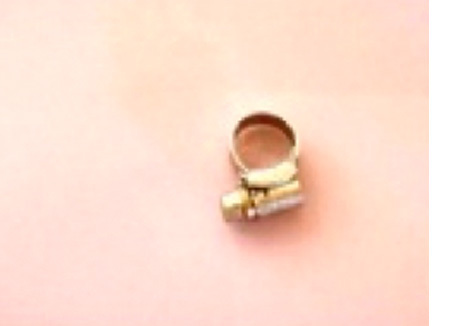 EA100, EA90, EA80, 18mm longer. EA75 & EA70. 25mm longer. For very tight spots we can machine the rear of the heat sink to suit. PRICE $95 inc GST fitted. 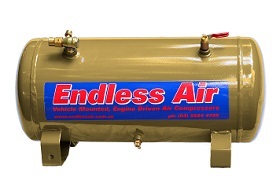 Endlessair compressor 10 cuft/min* Lug mount Length 230mm Diameter 130mm 9kg. The EA100 is supplied with a double vee 11A/13A pulley & 12v clutch. Endlessair compressor 9 cuft/min* Lug mount Length 210mm Diameter 130mm 8kg. The EA90 is supplied with a double vee 11A/13A pulley & 12v clutch. 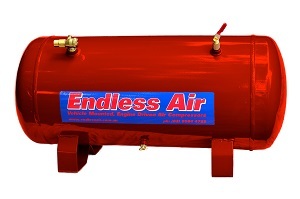 Endlessair compressor 8 cuft/min* Lug mount Length 210mm Diameter 130mm 8kg. The EA80 is supplied with a double vee 11A/13A pulley & 12v clutch. The EA75 is supplied with a double vee 11A/13A pulley & 12v clutch. 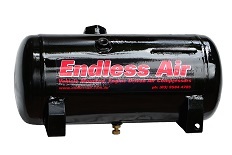 Endlessair compressor 7 cuft/min* Lug mount for tight spots Length 180mm Diameter 130mm 7kg. 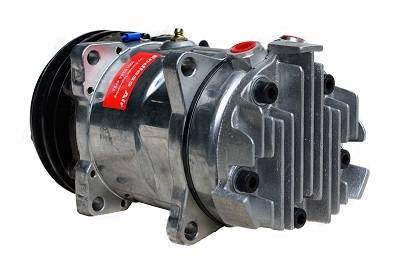 The EA70 is supplied with a double vee 11A/13A pulley & 12v clutch. This compressor is perfect for very tight spots as it is only 180mm. Double vee or multi vee serpentine pulley & 12v clutch. Nissan GQ 4.2L Diesel with air con. Nissan GU 4.2L Diesel with air con. Nissan GU 4.8 Petrol with air con. Toyota Hilux 3L Diesel Intercooled 2013/14 Model with air con. Toyota 80/100 Series Petrol 4.5 o/cam. With air con. Toyota 100 Series 4.2L Factory Turbo with air con. Gmc Silverado 6.6L Duramax. This kit requires an EA90 Compressor. Ford F250 7.3L Turbo V8 Diesel with air con. Ford Maverick 4.2L GQ Diesel with air con. Ford Maverick 4.2L GQ Petrol with air con. Mitsubishi Pajero 2.8L Diesel with air con. This kit requires an EA75 compressor. Range Rover V8 Petrol with air con. Discovery V8 Petrol with air con. Landrover 200TDI with air con. This kit requires an EA90 Compressor. A22 & A23. Price is $75. 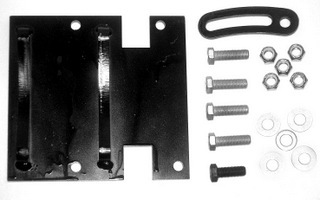 Compressor can be mounted to the bracket which can then be welded to or drilled to fit onto the motor. A slotted brace is included for belt tensioning. We also have a large range of mounting kits for Ford, Hino, Isuzu, Iveco, Mazda, Mercedes Benz, Mitsubishi Canter & many other vehicles. All receivers are complete with inlet non-return valve, outlet connection, drain valve and mountain feet. N.B. Other receivers (tanks) are available. Sizes and prices on request. 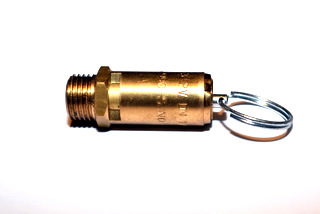 Fixed range Compact Pressure switch 90 – 110 psi. 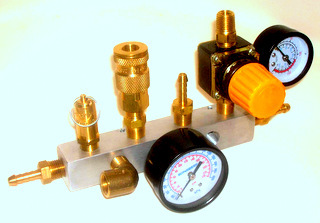 Economy model with 4 way manifold 80 – 110 psi. 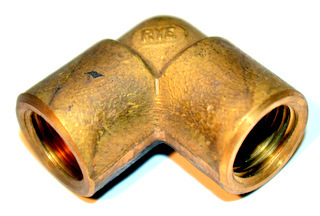 With integrated 4 way manifold. 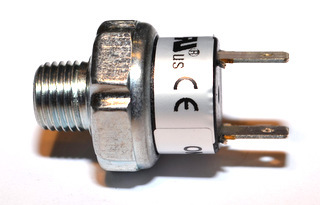 Adjustable Pressure switch ¼”BSP 80 – 105 psi. 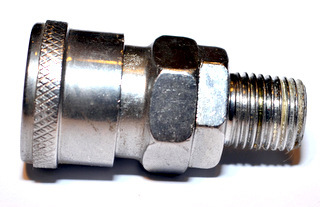 Adjustable Pressure switch ¼”BSP Heavy Duty Model 80 – 105 psi. 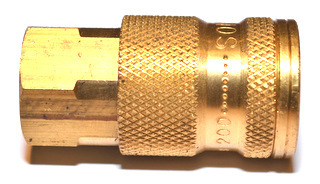 102 is Brass ¼”BSP non return valve (fits between compressor & receiver), ¼” Inlet - ¼” Outlet. 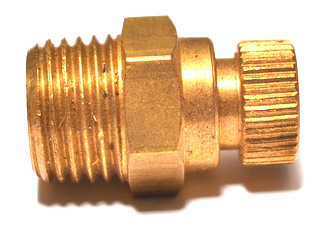 102A is ¼” Inlet - ½” Outlet. Pressure Gauge ¼”BSP. Diameter 40mm. Pressure Gauge ⅛”BSP. Diameter 40mm. 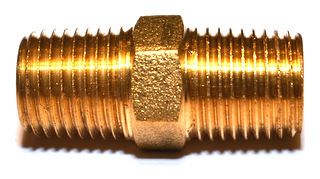 121B is Hi Temp hose 6mm. Steel reinforced. 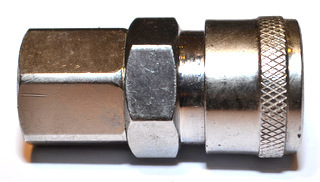 Flexible 6mm hose with ¼”BSP swivel ends. © Copyright 2015 by Endless Air. All Rights Reserved.